Financial Designs limits the number of clients we serve in order to provide personalized, customized service. Many firms use a cookie-cutter approach to financial planning and investing that enables them to serve the greatest number of clients with the least expenditure of time and effort. Prescription without full diagnosis is malpractice! With us you won't get any recommendations until we delve extensively into your financial situation and life goals. We will never offer or sell a solution to a client that they don't want or need. The prior decade with its two market crashes has shown just how risky a “set it and forget it” approach to investing can be. At SFS, we have long been known as true “active” managers: We continually monitor our clients’ portfolios and make adjustments aimed at avoiding undue risk and seizing opportunities. Unfortunately, many Fund Managers continue to use “passive” investment strategies, in which they create portfolios for clients and don’t make changes for months—or even years. Professional must meet a strict set of criteria for education, experience, and ethics. Furthermore, they must pass comprehensive examinations on a broad range of financial planning topics. Our Lead Financial advisor has earned the respected CERTIFIED INDEPENDENT FINANCIAL ADVISOR designation along with other credentials to his name. 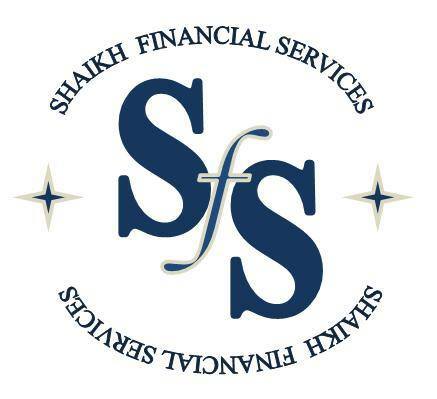 When we say Shaikh Financial Services is a family firm, it’s not just a figure of speech: We treat our clients like our family members. That’s one reason our clients count on being served by a cohesive, stable and professional advisory.